Join approximately 3,600 school counseling professionals for four days of inspirational keynote sessions, informative breakout sessions, in-depth looks at hot topics in the school counseling profession and networking opportunities galore. Meet school counselors from across the country and around the globe you can call on again and again for help throughout the year and take home valuable, practical tips you can put into practice immediately. Discover companies that can help you find the products and services you need to run a top-notch program. Interested in exhibiting or sponsoring? Learn more or view the floorplan. For one registration fee, you’ll get access to educational sessions, networking events, keynote speakers, morning coffee and lite bites three days, lunch three days and more. Online registration opens in early January. Download a justification letter template to request permission to attend. Have the chance to earn CEUs, contact hours and/or graduate credit. "I am a first-year school counselor, and going to this conference solidified that this field is exactly what I want to do and what I am meant to do. It was an amazing conference with wonderful people. I am bursting at the seams with new ideas to introduce and implement at my school. Thank you for hosting such an inspiring event." — Alexandria Smith, Lee-Davis High School, Richmond, Va.
Education thought leaders in a fast-paced, high-energy eXperience. ASCA thanks its conference sponsors for their support. The sponsorships offset a number of conference-related costs, allowing us to keep our registration rates as low as possible. We couldn't do this without the generous support of these companies. "This conference is a wonderful professional experience. I always come away from the conference rejuvenated and excited about my profession." — Jill Marie Kuppel, Etsell Manor Elementary School, Etsell Manor, N.J.
"Attending this conference literally helped me to regain my passion and focus on my goals as a school counselor. I am able to breathe, review my professional goals and look forward to what's to come in the near future." — Christina Vigil, Springer Municipal Schools, Springer, N.M.
With these seven words, Bauman set off one of the biggest manhunts in U.S. history and earned accolades as a hero. Months of intensive rehabilitation followed. At each turn, Bauman faced his new circumstances with grace, humor and an unwavering determination to walk again. Optimistic, hopeful and highly motivational, Bauman’s keynote celebrates the remarkable human beings who triumphed over terror and the power within each of us to overcome any obstacle. 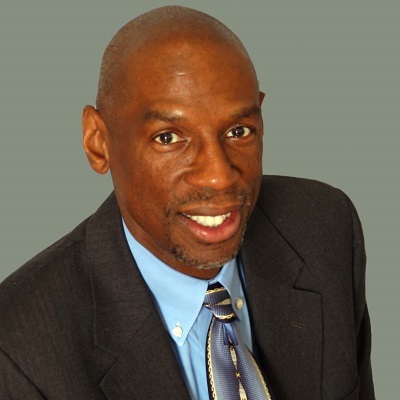 Geoffrey Canada grew up in the South Bronx in a poor, sometimes-violent neighborhood. Despite his troubled surroundings, he was able to succeed academically, receiving a bachelor’s degree from Bowdoin College and a master’s in education from the Harvard School of Education. After graduating from Harvard, Canada decided to work to help children who, like himself, were disadvantaged by their lives in poor, embattled neighborhoods. Join us for this new take on keynotes, featuring a series of education leaders and award winners sharing their journeys and stories of success. Roy Spence is co-founder and chairman of GSD&M, a leading marketing communications and advertising company, which has helped grow some of the world's most successful brands, including Don't Mess with Texas, Southwest Airlines, Walmart and more. He is also co-founder and CEO of the Purpose Institute, a consulting firm that helps people and organizations discover and live their purpose. Spence is a Gallup senior adviser and is Gallup’s expert on purpose and a champion of Clifton’s Strengths Movement. He is a best-selling author and member of the board of directors of the Lyndon Baines Johnson Foundation. Laura Gassner Otting speaks with change agents, entrepreneurs, investors, leaders and donors to get them past the doubt and indecision that consign their great ideas to limbo. She delivers strategic thinking, well-honed wisdom and catalytic perspective informed by decades of navigating change across the start-up, nonprofit, political and philanthropic landscapes. Our App download links for mobile devices are coming soon! Please check again closer to our conference's start date. Online registration is now open. Or download a form to register by mail.